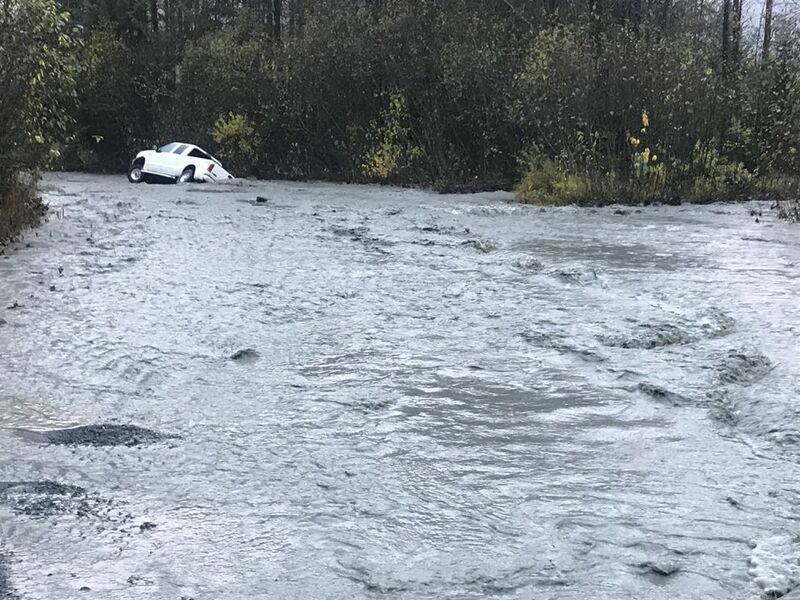 Flooding from a deluge of rain triggered an emergency declaration in Seward as residents woke Tuesday to flooded roadways and damaged bridges. Seward schools announced early release and canceled after-school activities Tuesday due to flooding and foul weather. Schools started two hours late in Moose Pass and Seward on Wednesday. Seward received 3 1/2 inches of rain in a 24-hour period from noon Monday until Tuesday, according to the National Weather Service. More than 5 inches fell at Exit Glacier, and the airport got nearly that much. Flooding has closed the Lowell Creek Bridge to pedestrian traffic as public works crews clear debris and remove gravel, according to an alert from the city Tuesday morning. Several roads are under water. 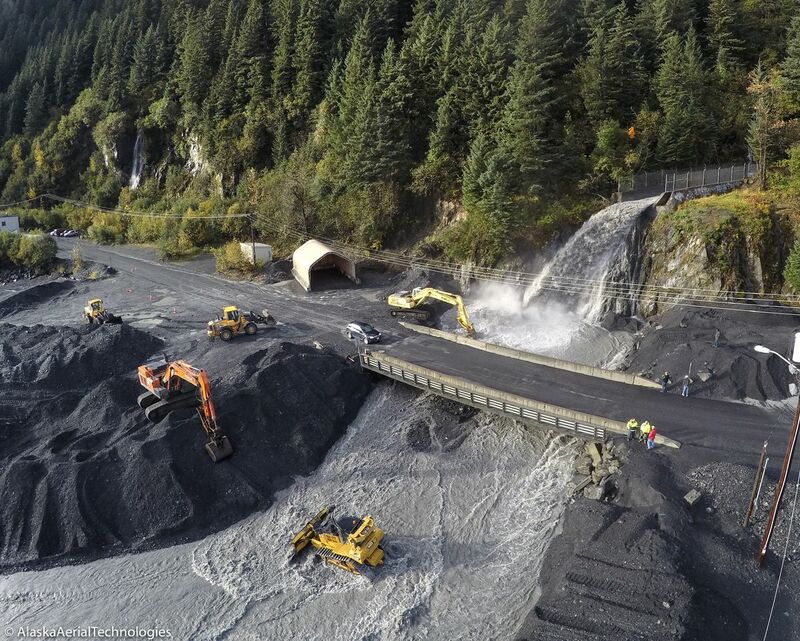 The Seward Highway remained open but with water over the road in places. Seward Airport was closed with "deep standing water over most" of the north runway, according to an email from City Clerk Brenda Ballou. The city declared a state of emergency as of Saturday. The Kenai Peninsula Borough declared a state of emergency Tuesday for Seward, Bear Creek and Lowell Point. The borough has asked the governor to declare a disaster emergency. The state Division of Homeland Security and Emergency Management is sending a staffer to Seward and may send more, a spokesman said. Realtor Nicole Lawrence didn't brave the drive to her office Tuesday until after noon — when the tide was low, so the Seward Highway would be clear. Earlier in the day, a creek ran down the road past Lawrence's driveway in the Bear Creek area. "It was just pouring so hard all night that all the motion lights were on," Lawrence said. The Kenai Peninsula Borough has scheduled a special Assembly meeting Wednesday afternoon to discuss an emergency ordinance appropriating general fund money for flood response. Rainfall totals were heavy around Prince William Sound, forecasters said. Mount Eyak near Cordova got almost 6 inches between noon Monday and Tuesday. More than 5 inches fell at Portage. A few showers were expected to continue but another storm moving into the area could make for a rainy weekend, NWS meteorologist Amber Hill said.